Lazy Dressing Whole30 — Simple. Whole. Paleo. This is more of a method/technique than a recipe, so feel free to riff on this! 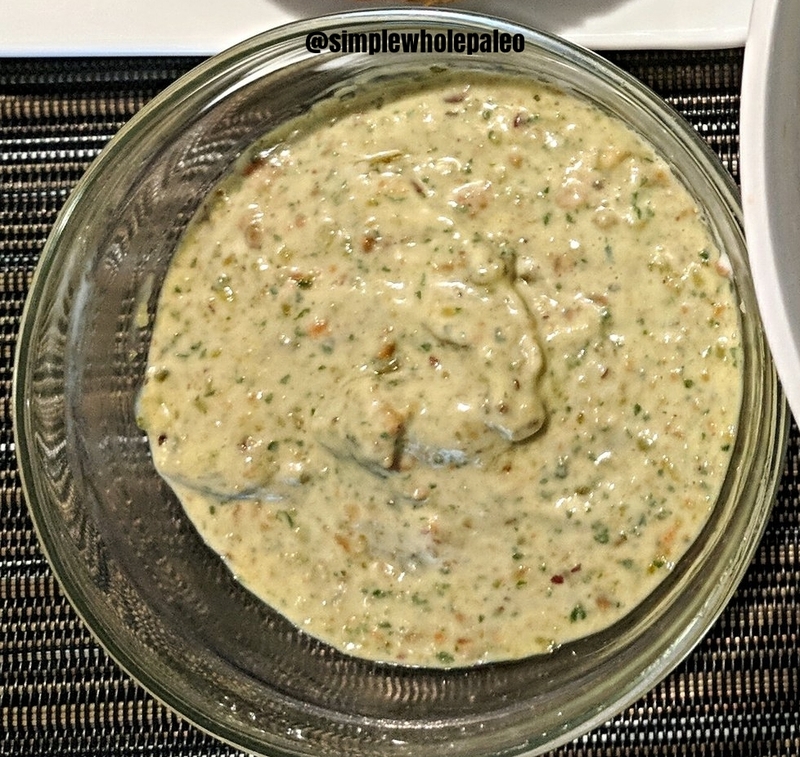 For example, if your "part" is a tablespoon, you would use 2 tablespoons of mayo to 1 tablespoon of coconut cream, along with 1/2 teaspoon of herbs (which could include a mix of garlic powder, onion powder, dill - for a ranch-like flavored dressing). Pesto based dressing may need more coconut milk, depending upon how thick your pesto is.